*Please note that each of the rooms are uniquely furnished, therefore no two are alike. 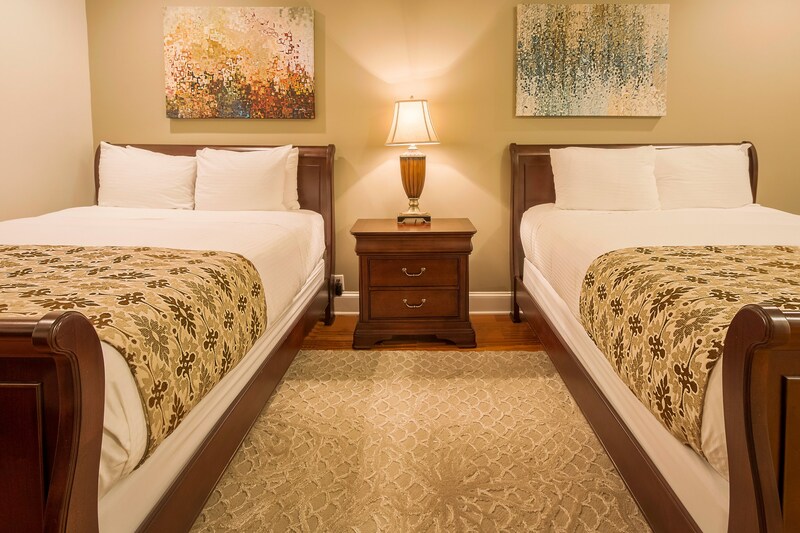 Cozy and comfortable, our Interior Two Doubles rooms exude character. Although lacking windows, these rooms make it up with beautiful furnishings and modern amenities, creating a charming atmosphere. Comfortable queen beds offer a great night’s sleep and flat screen televisions offer relaxation and entertainment, along with complimentary wi-fi. Due to the historic nature of the buildings, no two rooms are alike and each is decorated with different period reproduction furnishings or true antiques. Enjoy an individually furnished room. Discover ultimate comfort. From Lavish bath linens to offered sherry and plush robes and walk-in showers and/or tubs all lend warmth and relaxation to this personal oasis. 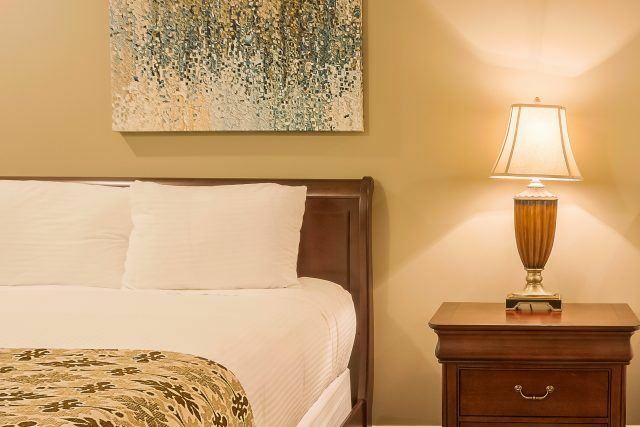 Find modern conveniences and amenities, including High Speed Internet Access through the space ensuring guests stay connected, and both Cable and flat panel televisions. *Please note that each of the rooms are uniquely furnished.